There used to be a sense of pride and accomplishment that came with saying your brand was 100, 50 or even 25 years old. Now touting those milestones runs afoul of consumer behavior, which seems to gravitate toward disruptors. Show your brand age and you risk positioning your business as antiquated, outdated and out of touch with the wants and needs of “modern Millennials”. Ah, that hated phrase. 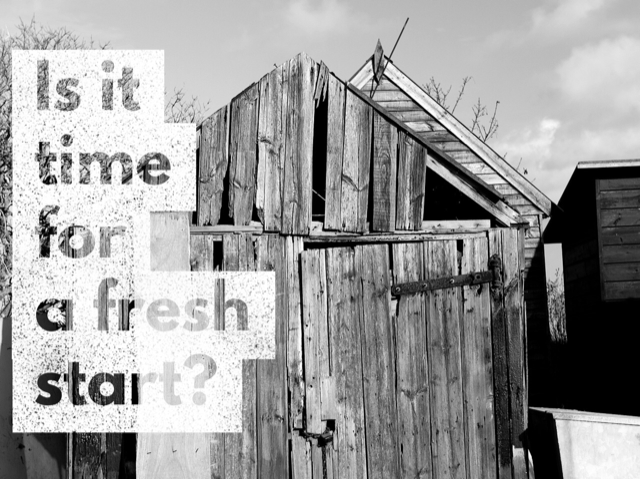 So you try to reinvent, reframe and relaunch your brand. You freshen up the logo, choose a new mascot and redesign your packaging. But is this just putting a new coat of paint on a turn-of-the-century house? Has anything substantive really changed? Is the brand DNA any different? Or are you just altering the exterior while retaining the interior, infrastructure and foundation—the stuff that really matters. Before you know it, you’ve spent millions of marketing dollars and hundreds of man hours on this brand relaunch, this exterior alteration, only to find it yields minimal change in brand perception, much less buyer behavior. But executives and shareholders have high expectations. If the outdated brand is what was broken, then fixing it should translate into greater awareness, consideration and market share. The needle isn’t moving, at least not by much and not in a way you can attribute back to your rebranding efforts. It’s just as likely to be your increased media spend, improved site functionality, expanded presence in retail or distribution channels or promotional offers. All of which happened at the same, further increasing the price tag of this relaunch and perpetuating confusion about the impact. How do you explain further decline in market share and brand health? How do you combat a failing grip on category leadership or counteract quarterly decreases in share of wallet? Probably not in the way you think. A poorly defined brand value proposition and narrative can hinder success, but redefining these brand elements may not deliver monumental success or reverse downward trends in performance. It may be time to bulldoze the old house and build something new from the ground up rather than simply slapping on a fresh coat of paint. Is your brand’s core value proposition still an accurate representation of what you do well? If so, are (enough of) today’s buyer seeking what you’re selling or do they seek something else? If not, are rebranding dollars that deliver sub-optimal results better spent on rebuilding? If the answer to any or all of these questions is “no”, you have to seriously consider whether to scrap rebranding efforts and focus instead on reinvention. Maybe you’ve naturally evolved and its time to go beyond rebranding to redefining that value proposition to align with what you actually do. Or, maybe you sell the same products and services you did 100 ago when the company was founded, but to fewer and fewer buyers. In this case, you don’t need rebranding, but rather resuscitation to make your brand relevant to a new generation of customers. This can be a daunting decision, especially for an established business or brand. It’s far easier to make minor, incremental improvements than to truly reinvent your business. This is often what places newer companies in the position to be disruptors. They seem to have everything to gain and nothing to lose. They can afford to pivot—not because of their cash flow, but because of their willingness to walk away from what isn’t working and try something different. But established companies have the benefit of wisdom and perspective. They can zoom out with a wide lens shaped by years of experience. They know from past wins and losses how to predict a winning trend–sometimes based on the trends that have passe them by. They learned the hard way how to determine when it makes sense to be the first mover and when it’s smarter to be a fast follower. They’re less likely to get caught up in the youthful exuberance of the latest fad and more apt to place smart—albeit safe—bets. Don’t get me wrong, established brands face challenges when it comes to embracing innovation and agility. They can be slow to change, conservative in their approach and more concerned with keeping their customer base than reaching new buyers. But this isn’t a call to action to innovate. That’s like building a new wing or buying a vacation home. This is a scorched-earth approach that involves burning down the existing structure and starting over; learning from what you’ve done well and poorly; and putting that knowledge to work in a new way. If you could redesign your business, from the ground up, what would you do differently? That is the mindset many startups are taking, building on what works and what doesn’t work in existing business models—namely, yours. Of course, they’ll make their fair share of mistakes and those that last will likely end up just like their predecessors. Don’t let the next generation of digital disruptors be the sole beneficiaries of your hard-earned lessons. Consider putting those insights to work in an entirely new venture. You said “If the answer to any or all of these questions is ‘no’, you have to seriously consider whether to scrap rebranding efforts and focus instead on reinvention.” — Truly, it’s a significant challenge for CMOs to take their organization beyond the notion that small incremental tweaks to their legacy approach could take them where they aspire to be in the future. Today’s competitive marketing environment demands fresh thinking and bold execution. Be brave, start over. Continuous product innovation and adoption of new technology landscape should continue whether it’s an old brand or new. Marketing is the bridge between the products and what customers really want.